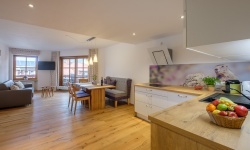 The holiday home “Ferienwohnungen am Marktplatz 5”, with three exclusive apartments, welcomes you to the charming market place in the center of Oberstdorf. Enjoy you holidays in the Allgaeu Alps and the amenities of the central setting of the apartments where the possibilities are endless. 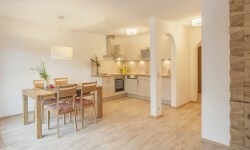 The light-filled apartments "Gamsnest", "Murmelbau" or "Adlerhorst" offer space and comfort for 2 to 8 persons. 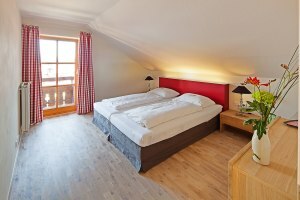 The design combines high-class ambiance with typical alpine coziness. Ferienwelt. 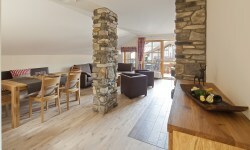 The light-filled apartments in the heart of Oberstdorf offer space and comfort for 2 to 8 persons. The alpine design combines high-class ambiance with typical alpine coziness. 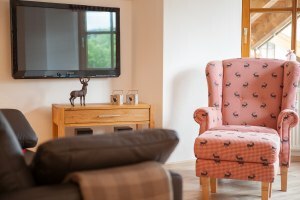 Equipped with natural, regional materials such as wood, shale and stone, each apartment consists of a cozy living room with an eating area, two separate sleeping rooms and an open kitchen. Attached to the living room you will find a nice balcony, which offers magnificent views. Dogs are welcome in all apartments. When we have four-legged guests, we particularly pay attention to cleaning the apartments very intensive. Therefore, we ask for a fee of € 8,- a night, per dog. Free underground car park- a seperate parking spot can be rented for a small fee. The elevator brings you from the underground car park up to your apartment. Convenient, secure and comfortable. Therefore, in case of heavy snow, you will not have to dig your car out. Small and fine. Cozy and welcoming. With style and design. A holiday nest with a sense of well being. Exclusive design with alpine ambience. 90m² of happiness and well-being. Alpine design meets supreme Snugness! 109 m². Bright and Spacious. A lot of rooms and enough room. For friends and families.